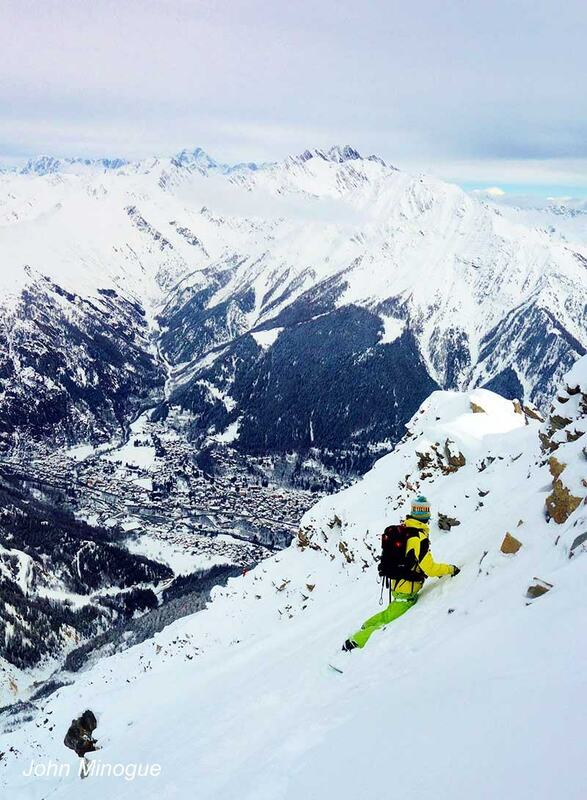 It was one of those days in Helbronner, lapping untracked light powder under the cables untill midday when it became to warm to ride the south face. Despite this, I was still keen to ride and at the bar I met Dave Rosembarger and John Minogue. They wanted to ride something different and possibly north facing. 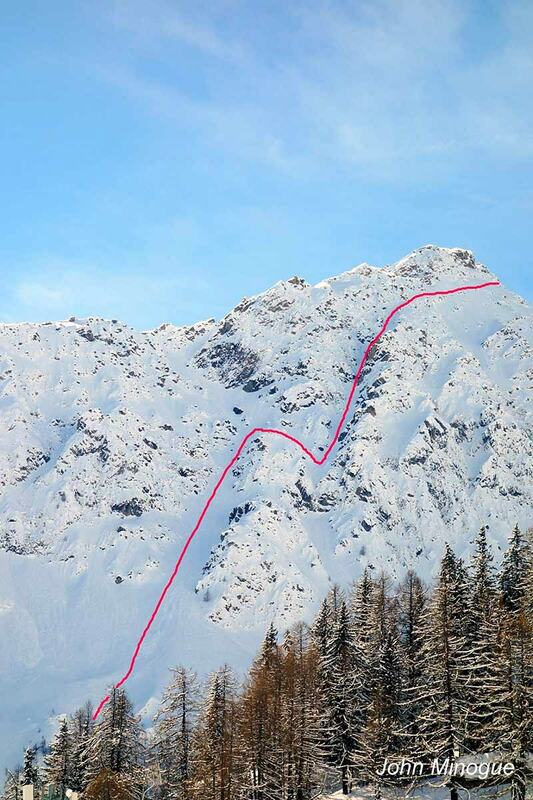 We decided to go and have a look at the east couloir of “Tete d’Arp” above Courmayeur, a line I had been looking at for a while but had never found the time to go and try it, today was the right day for it. From Youla we took the high traverse and then climbed up the ridge. 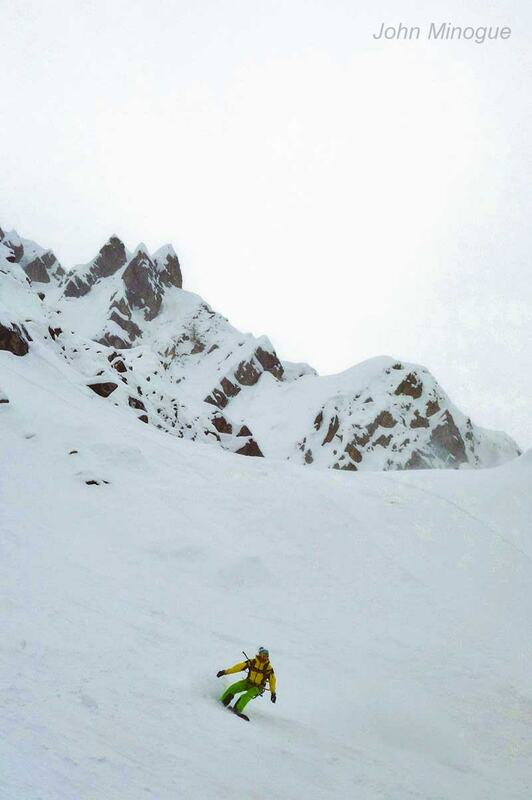 The final traverse that leads to the top of the couloir was pretty rocky and delicate. 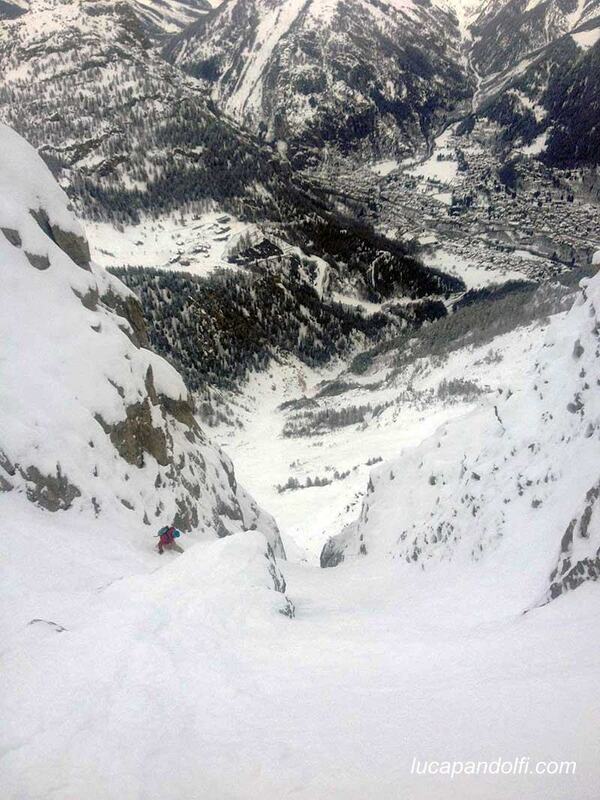 There was a 12 meters rapp in the middle of the couloir; we looked a while for the belay but could not find it. 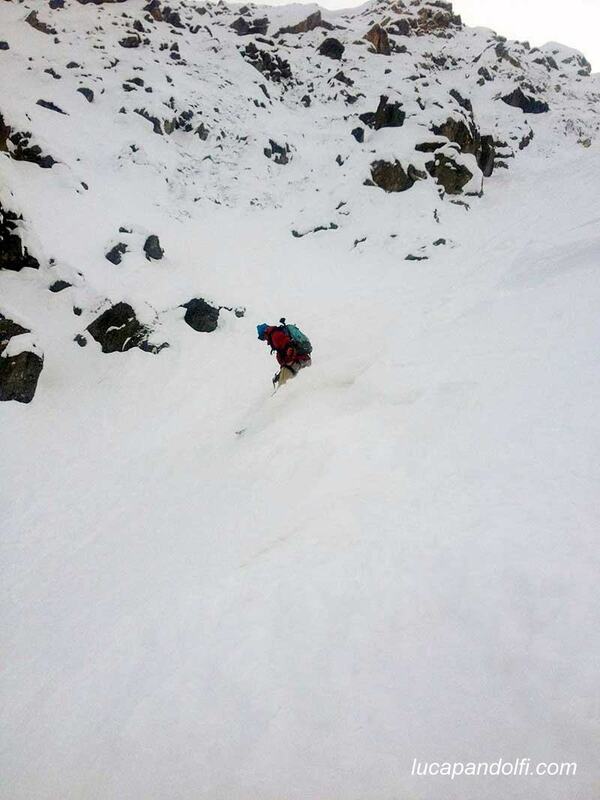 In the meantime the weather was coming in and the spindrift started to come down heavily, luckily Ross managed to hook a rocky flake with a sling and set up a new belay. 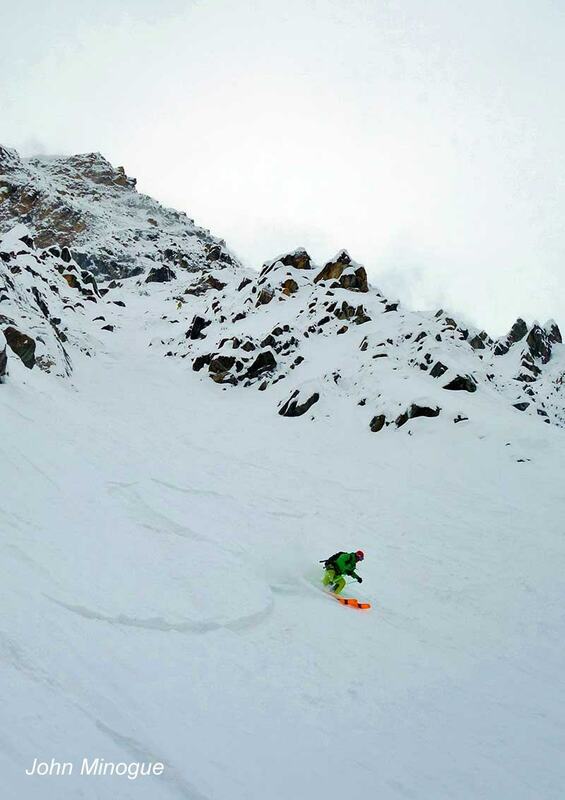 The snow was perfect and we managed to come out the couloir just in time before it started snowing. This entry was posted in News. 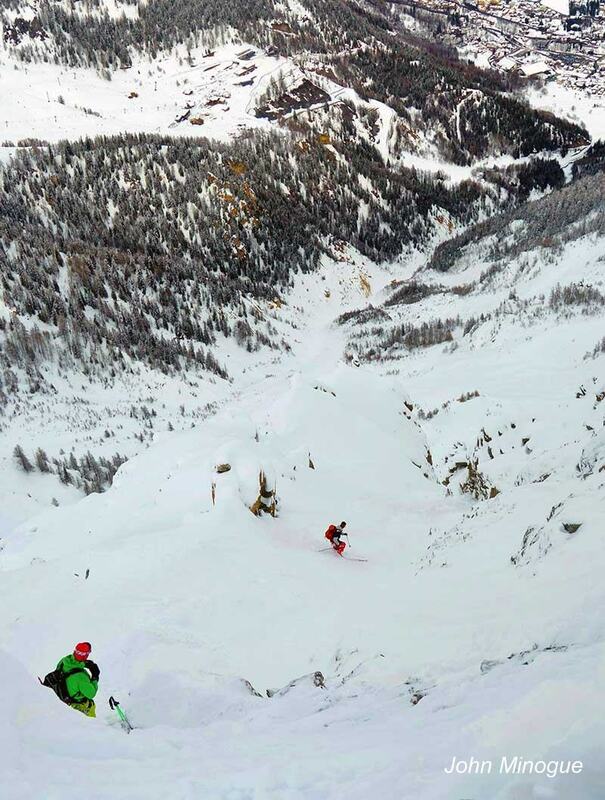 Tagged abseil, Aosta valley, Arp, Bauer, big mountain riding, big mountain snowboarding, Buccella, calata corda doppia, camp, canale, corridor, couloir, courmayeur, David Rosembarger, doppia, epic, extreme, fitwell, freeride, helbronner, hors piste, italia, italie, italy, John Minogue, jonessnowboards, Level Gloves, luca pandolfi, mont blanc, montagna, montagne, monte bianco, mountain, mystycfreeride, neige, neve, northwave, pente raide, polvo, poudreuse, powder, rappel, ripido, ross hewitt, salewa, snow, snowboarding, steep, steep skiing, Testa d'Arp, vertical attitude, Youla.